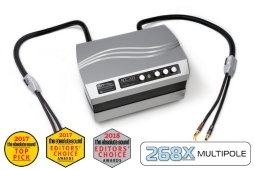 Discover what many recording and film studios have known for the past 35 Years— MIT Audio Interfaces deliver the highest degree of signal integrity! Q: What is Multipole Technology™ and what do the numbers mean? MIT Cables founder Bruce Brisson began purposefully designing audio cables in the 1970’s after encountering the sonic problems inherent in cables typical of the day. MIT Cables founder Bruce Brisson began purposefully designing audio cables in the 1970’s after encountering the sonic problems inherent in cables typical of the day. He later founded Music Interface Technologies in 1984 after patenting and licensing his early designs to other manufacturers, producing some of the audio industry’s most ground-breaking and seminal products. 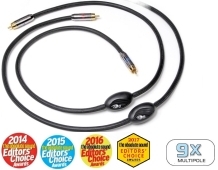 More than just cables: What’s the difference with MIT Cables ? MIT Cables’ core audio cable technology is our exclusive Poles of Articulation, named after the fact that every audio cable has a single point where it is most efficient at storing and transporting energy. At this point in the audio frequency spectrum, the cable will articulate best, and represents the cables’ particular Articulation Pole. Theoretically, if you could use three different cables at the same time, each with a different Articulation Pole, to interconnect two audio components together, you would have an interface with three Articulation Poles; one for the highs, one for the mids, and one for the lows. 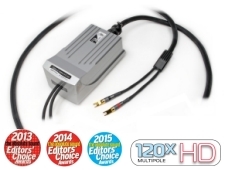 Together, they would work to transport the audio signal from component to component with more articulation. This is what MIT Cables accomplishes with its patented technology, to a much greater extent, within each engineered interface. We call this Multipole Technology. The benefit is more lifelike vocals and instruments, mid and high frequencies become less bright or tiring, voices are clear and understandable, and bass frequencies become tight and deep. About the Graphs: The graphs below are conceptual illustrations representing the bandwidth of the audible range of the human ear. We use these graphs to illustrate how well cable articulates across this bandwidth. The 50% line serves as our baseline for ideal articulation response. 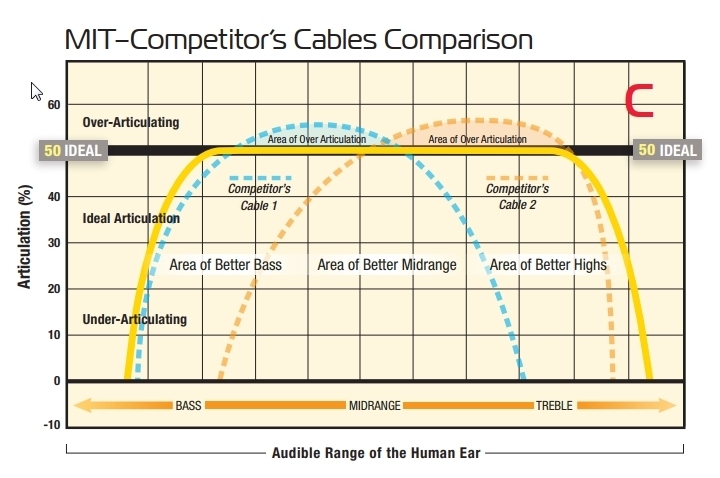 If a cable is over-articulating (above the 50% line), it’s sound might be described as “harsh”, or “brittle.” If a cable is under-articulating, it will be perceived as lacking “detail”, or “garbled”. 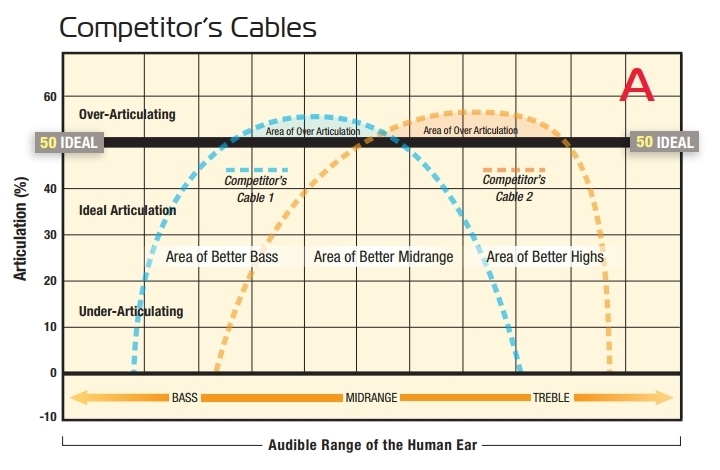 Another Competitor’s cable (Cable 2) has its Articulation Pole tuned to a high frequency, and would be described by audiophiles as “bright” or “fast.” Additionally, both cables have areas of “over-articulation” as shown in their respective shaded areas. Graph B: This graph illustrates one of MIT’s popular interfaces with 6 Poles of Articulation. MIT’s interfaces are engineered to have multiple Articulation Poles optimized for the lows, mids, and highs. 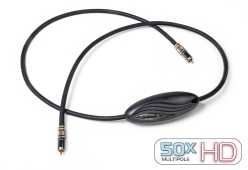 Our Poles of Articulation synergistically work together to transport the audio signal with a more even response than just a single cable, as if multiple cables are being used together. 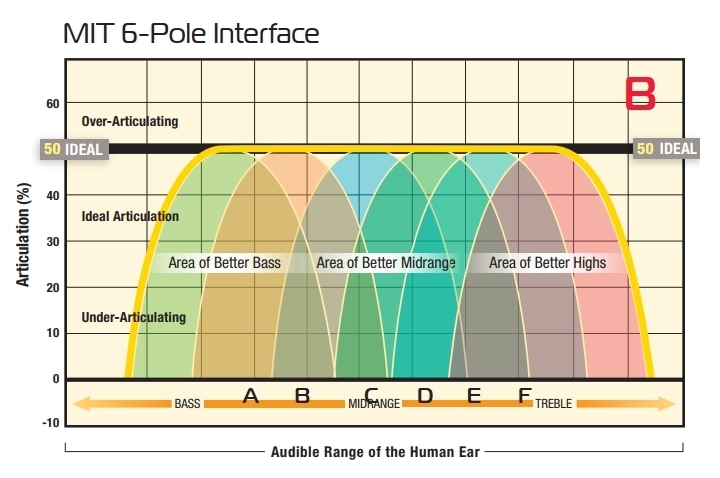 Poles A & B provide an area of better bass, Poles C & D provide an area of better midrange, and Poles E & F provide an area of better highs. 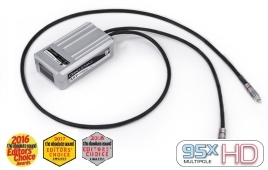 When choosing an interface, look for the Multipole Technology logo with the performance rating indicating the number of Poles of Articulation in each product. This simple feature will help you select the correct performance level for any system, with complete confidence and accuracy. MIT’s patented Multipole Technology used in virtually ALL of our Interfaces and Interconnects are requested and used by leading High-End Audio manufacturers to provide the cabling to best showcase their components at every major Audio Exposition earning repeated “Best Sound”, “Best of Show”, “Best Sound of Show” awards over the past two decades. In addition to the High-End Audio industry, MIT Cables Technology has continued use with Grammy Award winning Recording Studios, and Academy Award (and multiple nominations) for Best Sound and Best Sound Effect Editing with Skywalker Sound. Skywalker Sound is the sound effects, sound editing, sound design, sound mixing and music recording division of George Lucas’ Lucasfilm motion picture group.